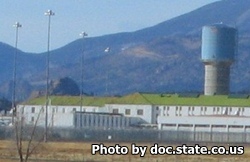 Buena Vista Correctional Complex is located in Buena Vista Colorado and consists of two facilities. The correctional facility referred to as BVCF is responsible for housing inmates in medium custody. The minimum center, which is often referred to as BVMC, is responsible for housing minimum security offenders who will soon be released from custody. The primary role of BVMC is to prepare inmates for their release and reintegration to society. Inmates at all Colorado facilities are encouraged to take advantage of the various programs that offer inmates education, work, and vocational skills. Adult basic education and GED courses are available at both facilities. BVCF offers welding, construction, auto repaid, computer courses and more. BVMC offers a CISCO certified network class. The correctional industries offered at BVCF are a saddle and leather shop, as well as fish hatchery. The BVMC offers correctional industry programs in wildfire fighters, trail and heavy equipment crews, and working with canine units. All of the experience an inmate can learn while incarcerated can give them a much greater chance of success when they are released. You must have an approved visitors application on file in order to visit. All visitors must schedule an appointment by calling (719)-395-7249 Monday through Thursday between the hours of 7am-3pm. The visiting hours for Buena Vista Correctional Facility are Fridays, Saturdays and Sundays from, 9am-2:30pm. The visiting hours for Buena Vista Minimum Center are on Saturdays and Sundays from 9am-2:30pm.